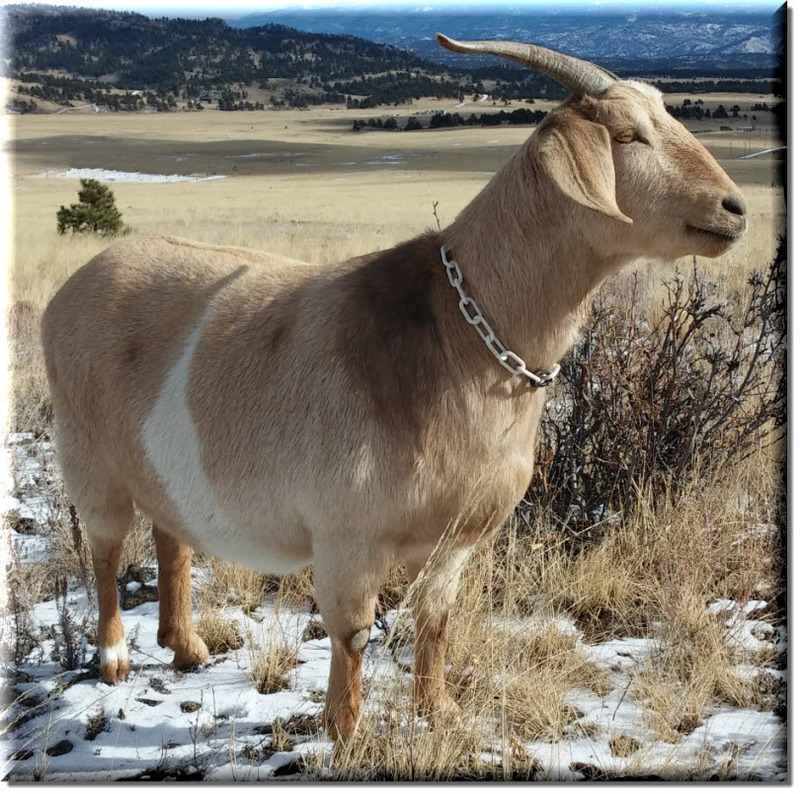 Mona the goat arrived from Guffey, CO in November 2014. She was 1/2 Nubian, 1/2 Alpine. She loved to jump inside the horse troughs, reject Myron's advances, and "moan" while she ate her delicious food. When Mona arrived, she was pregnant with twins. Tragically, Mona passed away in April 2015, not long after giving birth to her darling babies, Monette and Monty (named in Mona's honor). We are devastated by her loss, and we miss her every day, but we take much joy in the babies she left behind. Mona is resting alongside Rudy and Hopalong on our mountain, overlooking Pikes Peak.